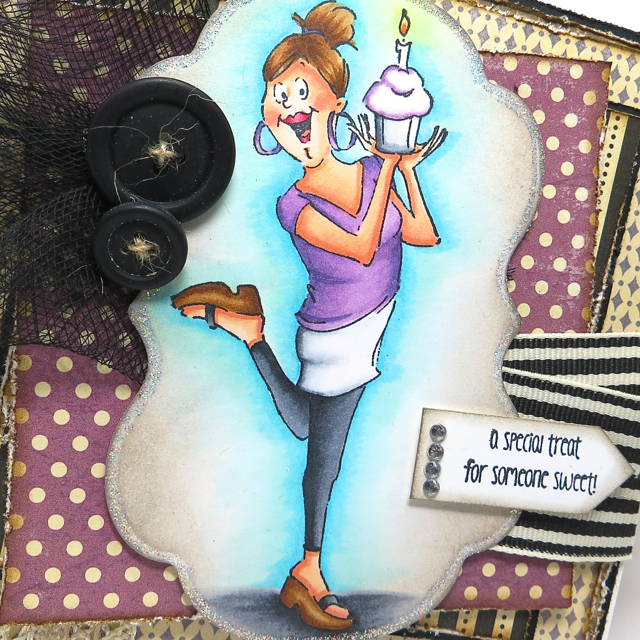 The Ink Trap: Cupcake BFFs by Art Impressions! Hey, all! Just a quick post today to share a card I made for the Art Impressions Blog. Today I'm playing with an image from the Cupcake BFFs set. She's a delightful girl, with a sweet demeanor and she looks great in purple ;) What more can you ask for? what a fun card. I just love the image.